Mecum Auctions If you are interested in classic, muscle, collector cars or Corvettes, watching our auction is for you. 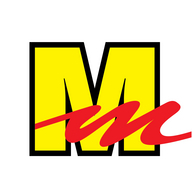 Mecum Auctions has been specializing in the sale of collector cars, muscle cars and Corvettes for more than 20 years. In spring 2008, the company sold its 50,000th car. Consignment, Bidder, event and accommodation information is available online at www.Mecum.com or by calling 262.275.5050.